Gustav: Couldn't you have picked a better car? Himmel: I thought you'd like it. It's German. Gustav: Haven't you ever heard of BMW, idiot? If a friend recommends this movie to you, shoot them. Well, not really, but you should reconsider your friendship. 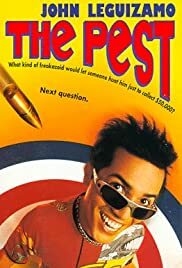 The Pest is, without a doubt, the worst movie I've ever seen. EVER. And before you say "Oh, she just loves chick flicks! ", let me say this: I hate chick flicks. I love comedies. But the only funny thing about this movie is that it ever got made. Wait, I take that back, there are a lot of funny things. 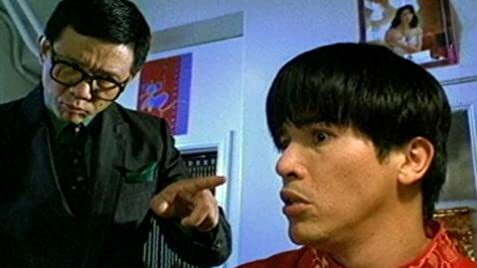 It's funny that The Pest is considered a good movie by some people. It's funny that some people find the jokes to be funny, whereas they are incredibly unintelligent and contrived. It's funny that anyone with an IQ over 2 would like this movie. Perhaps it appeals to some, but I simply cannot see why. I watched this movie when I was in junior high, and even then, I found it to be juvenile and pathetic. In short, never watch this movie. Within the first minute I wanted to strangle the Pest to death and put him out of his misery. Because, truly, it would be misery to star in a movie this horrid.